"At Old Navy we take our responsibility to our customers seriously," Debbie Felix told Broadway World. "We would never intentionally offend anyone, and we are sorry if that has been the case. Our toddler tees come in a variety of designs including tees that feature ballerinas, unicorns, trucks and dinosaurs and include phrases like, &apos;Free Spirit.&apos; They are meant to appeal to a wide range of aspirations. With this particular tee, as a result of customer feedback, we have decided to discontinue the design and will work to remove the item from our stores." Old Navy is under fire after releasing a children&apos;s shirt that appears to discourage them from becoming an artist. 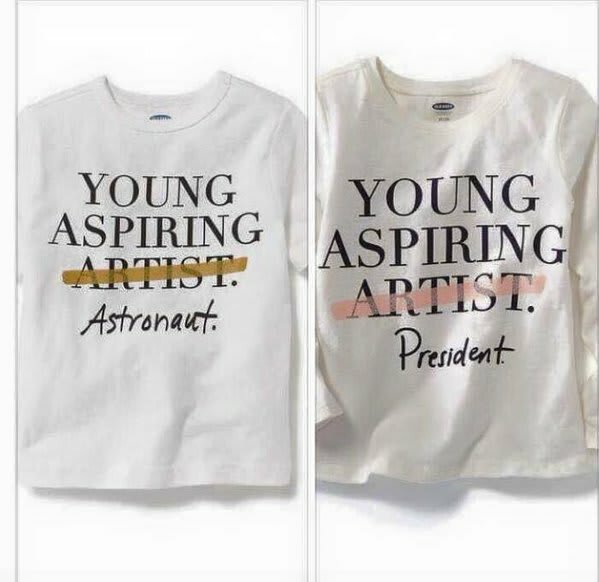 The controversial design features a graphic that reads "young aspiring artist" with the word "artist" crossed out and replaced with professions like "astronaut" and "president." People have taken to social media to speak out against the negative message being sent by the San Francisco-based company. Users have also pointed out the irony of the fact that the shirt was designed by an artist. Several artists like Steve Ogden have responded with their own take on the T-shirt. 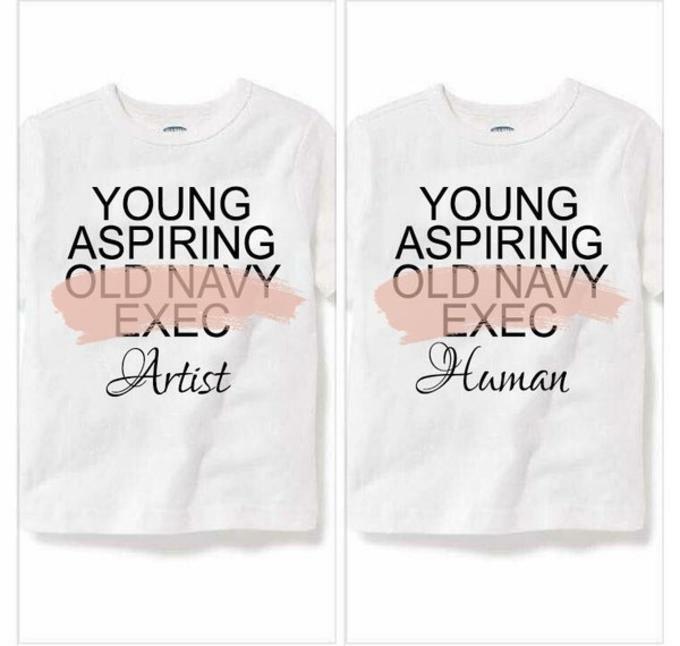 For his version, Ogden crossed-out the word "Old Navy Exec" and replaced it with the words "human" and "artist." "The shirt didn&apos;t have me jumping up and down mad or anything, just amused at the ridiculousness of the message," Ogden told Complex via email. "But for a company to produce a shirt that crosses out Art as an aspiration and replaces it with Astronaut and President is just bizarre. If you take the shirt seriously, both of those aspirations are ludicrously unlikely for most of the population." The shirt is still for sale on the retailer&apos;s website under the "Funny Toddler T-Shirts" section. Old Navy has yet to issue any response to the backlash.